Thrills – Suspense – Horror! – Page 3 – No Worries – the series! And more – reviews, news, bargain books! Great reads, set in Thailand! - Hua Hin sleepy tourist resort, nothing happens there. Don't you believe it! In book one, we have a lesbian reporter having her uncle's child. Not in the normal way! Crime throughout, usually drug related. 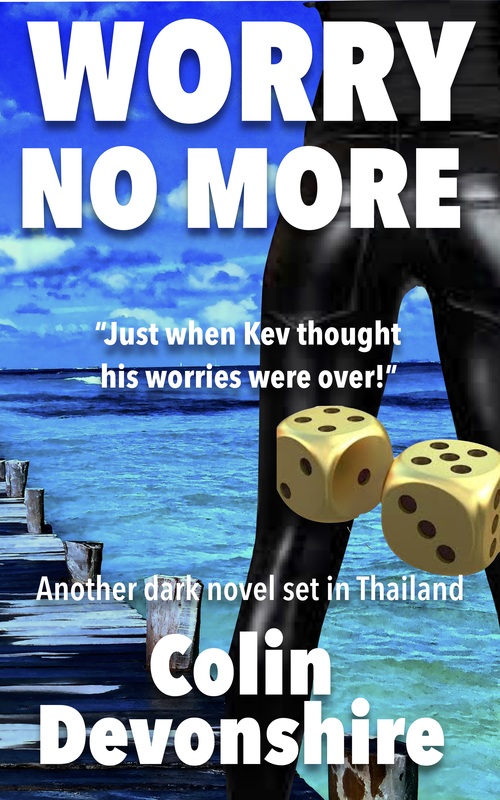 Book two, read about gambling and cannibal twins - they are Thai, that means Siamese twins? Find out how they were joined! A mother and son team enjoy burning people! A movie remade in Bangkok with a freaky ending! 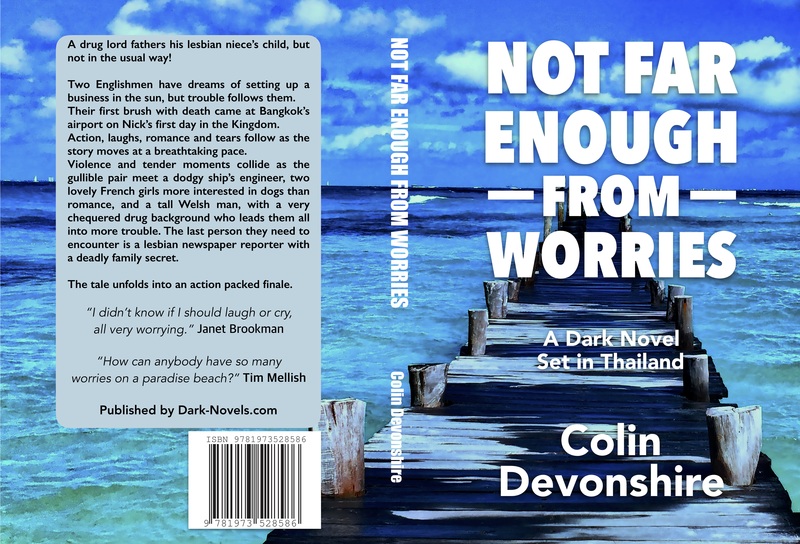 'Not Far Enough From Worries', 'Worry No More' both on amazon.com/author/colindevonshire 'Children With No Worries' to be published in 2019. Need any help choosing your next read? January 19, 2019 dark-novels.comLeave a Comment on Need any help choosing your next read? January 19, 2019 dark-novels.comLeave a Comment on What to read? Have you just finished a book? Looking for something a bit different? The first thing to do, if you haven't already, is joining Goodreads. Easy, just go to Goodreads.com this site is packed full of information about, well reading! Search the genre you are interested in, or favourite authors, or track down that book you … Continue reading What to read? January 16, 2019 January 30, 2019 dark-novels.comLeave a Comment on Would you like to be added to our mailing list? January 16, 2019 January 23, 2019 dark-novels.comLeave a Comment on Another Easy Payment! December 29, 2018 dark-novels.comLeave a Comment on Can you help? I'm researching some very sad happenings. They happened in Kaeng Krachan National Park, the largest national park of Thailand located in the area of Phetchaburi province. It is on the border with Myanmar, with the Tanintharyi Nature Reserve. In mid-2011, three Royal Thai Army helicopters crashed in only nine days, there were 17 deaths. All machines had been checked and were … Continue reading Can you help? December 22, 2018 dark-novels.comLeave a Comment on Real Scary Creatures! I know, it's the season of goodwill and all that, it's just that we need a little scare all year. So, I have compiled a short list of some delightful beasts, and no, they won't feature in festive fare! At number one, the Bobbit Worm. What a darling. It buries itself in sediment up to … Continue reading Real Scary Creatures! December 14, 2018 December 14, 2018 dark-novels.comLeave a Comment on E-Mails! Those who know - guys that have sold millions of books, say that it is vital that us authors get an e-mail list. So I'm asking please trust me with your address. I will not be sending it to deepest, darkest. _ I want to keep readers up-to-date with what is happening in sunny, spooky, … Continue reading E-Mails!